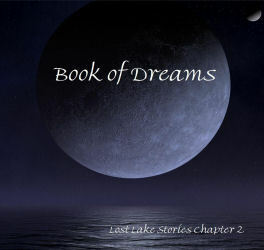 The Book of Dreams, washed up on the misty fractal shore of Lost Lake, lightcracks a door to a universe of one. A keybook to an endless flight of moonkissed waters and sunREM skies. Nocturnal tripscan reflections of lucid life and silent sound. Joyflight voices soar over sepia mountains of suspended memory. Starlost cafes serve cups of liquid mind and plates of drifting Bohdi clouds. Lazy days of passing suns shadowcast effervescent trancelight. An endless rain of warm melted thoughts drip from the petals of lifeflowers. Metashapes combine under the brighthaze of Hypnos creating transparent particle cities. Heavenly boats slip dreamsoft through carpets of stars tranceguided by the steering hand of Morpheus. Guided through the middle path between lightdark lands and remembering the nevertruth.